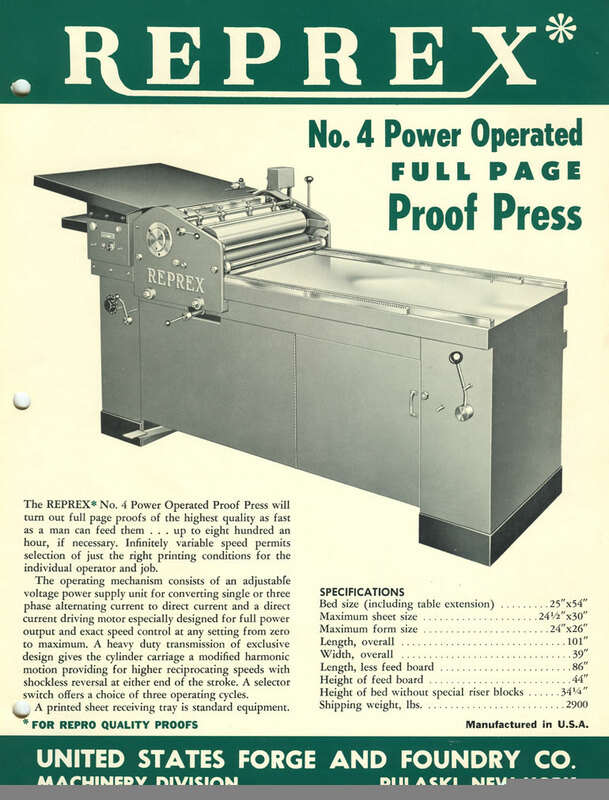 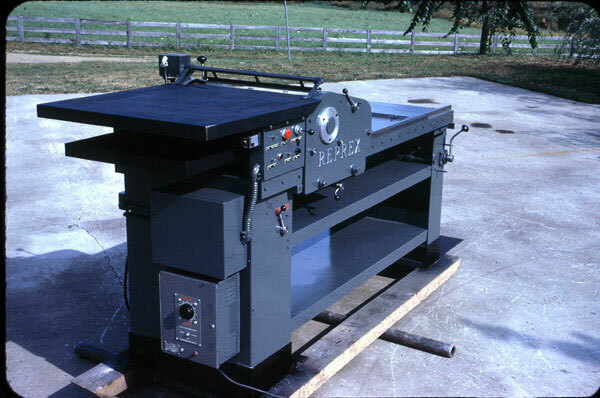 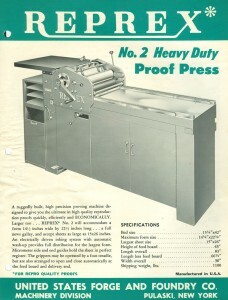 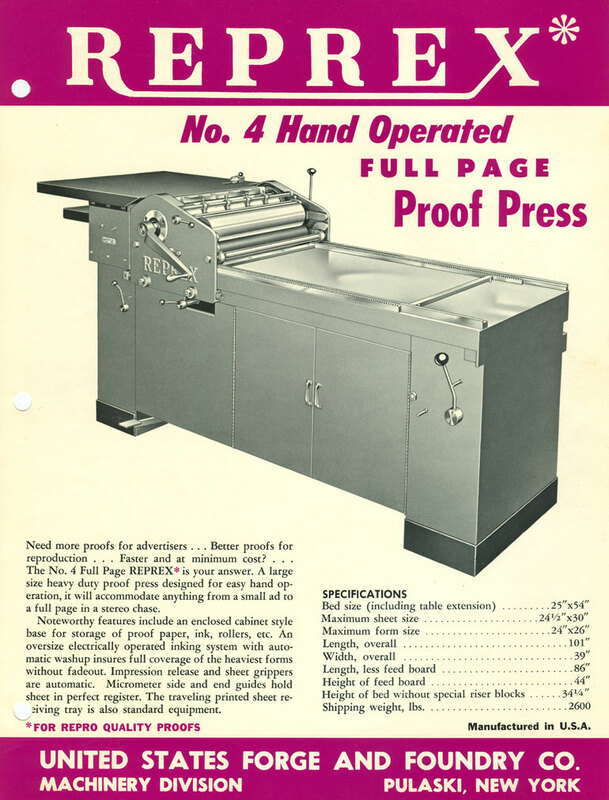 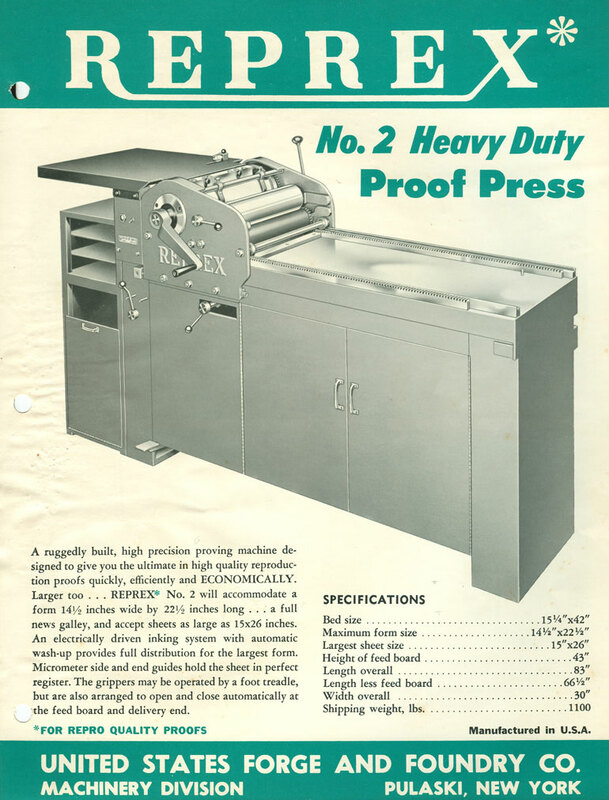 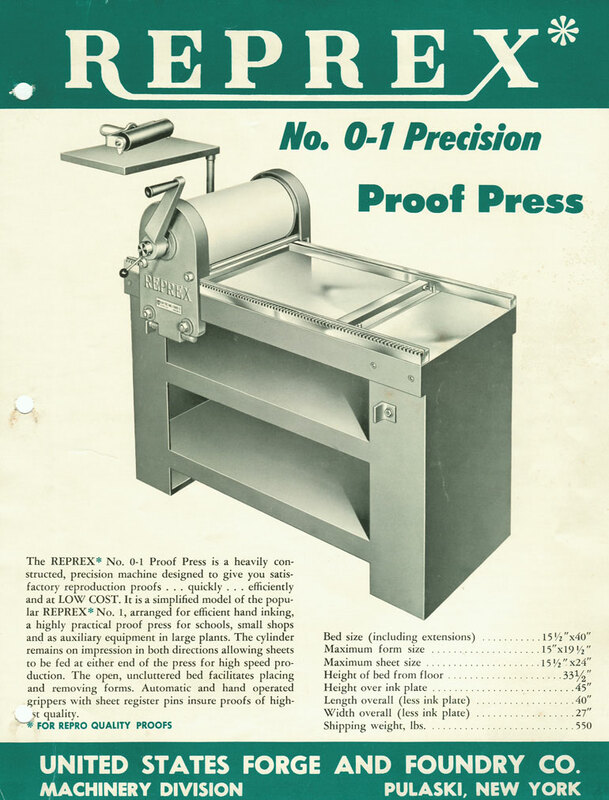 This page provides information about Reprex flatbed cylinder proof presses. No sources for parts are known and will need to be fabricated. 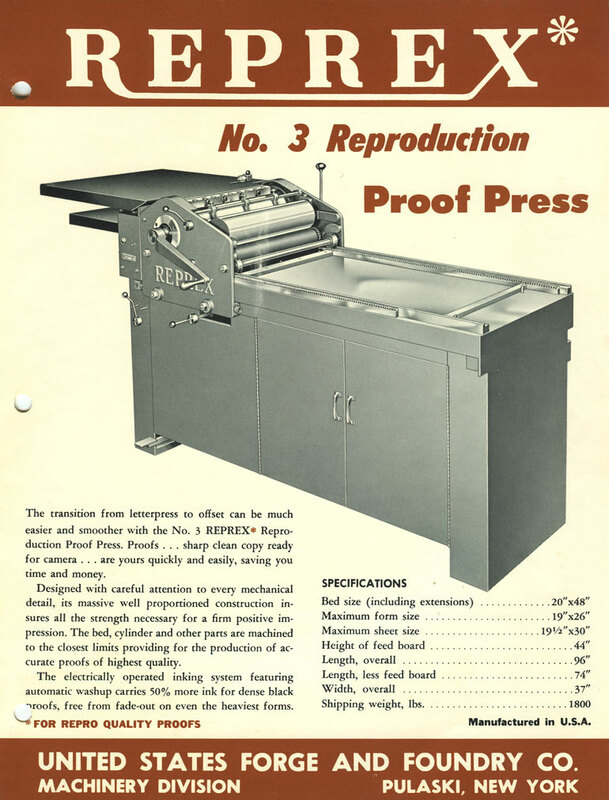 However, some owners of Reprex proof presses owners listed in the Reprex census may be of assistance. 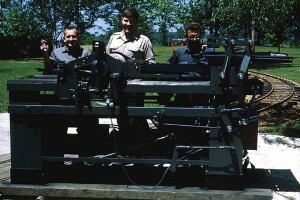 1960s-70 Manufactured by United States Forge and Foundry, a company started by Edward Nolan in Pulaski, New York. 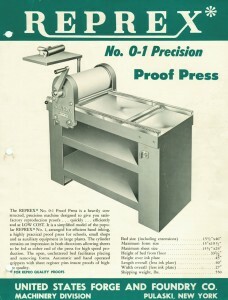 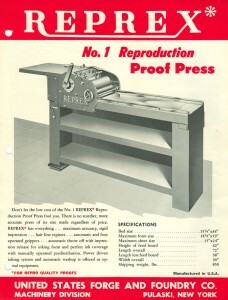 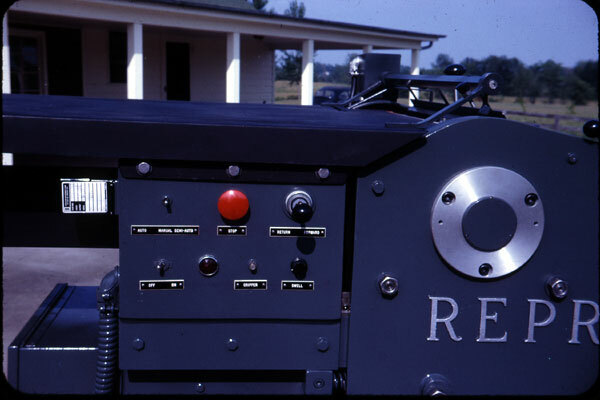 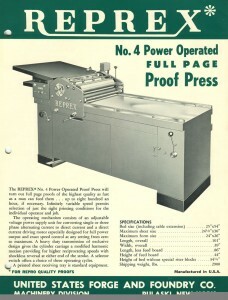 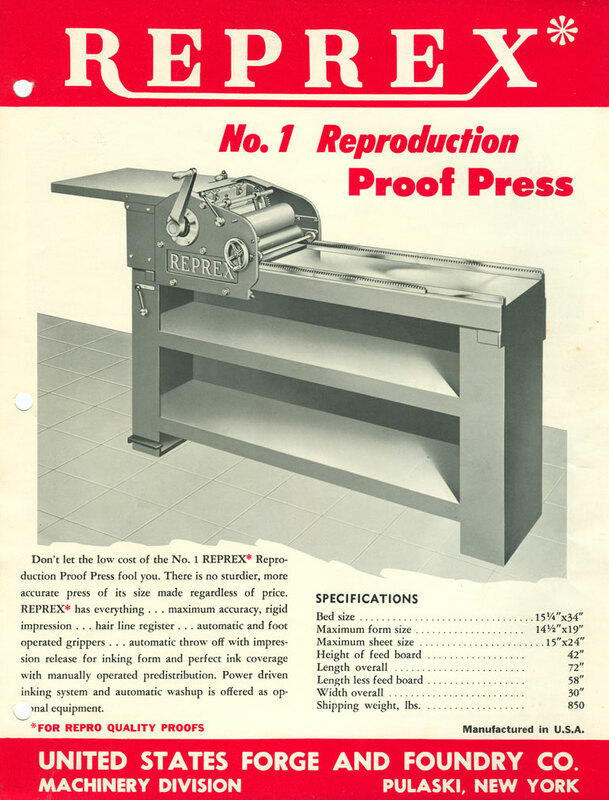 At one time Reprex presses were sold by American Printing Equipment Co.
Vandercookpress.info is not legally affiliated with any owners of the names Nolan, Reprex, United States Forge and Foundry or Vandercook.